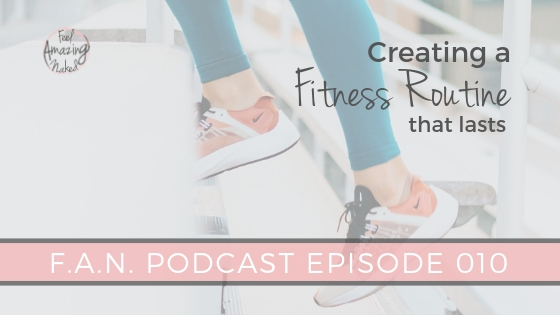 You can grab the workouts I mention in the podcast HERE. 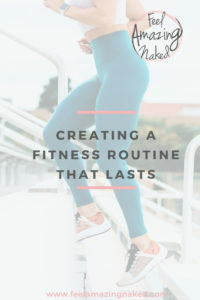 Keeping an active lifestyle is a necessary component to feeling amazing naked…but it isn’t easy. Truth is, it’s become part of my identity. I love how amazing it makes me feel that I don’t want to feel any other way. Just like food, there is not a one-size-fits-all approach to fitness. So many different things work to produce the same outcome. Research supports that! I am going to leave the research to those experts in the field. I do have favorites that I love to follow like Alan Argon, Bret Contreras, Andy Galpin, and Sohee Lee. I highly encourage you to follow them to learn more about what “science” says about fitness and nutrition. I am going to focus on what I think is the harder bar…making the workouts actually STICK. What works best for you is finding something you love and that you will stick with! 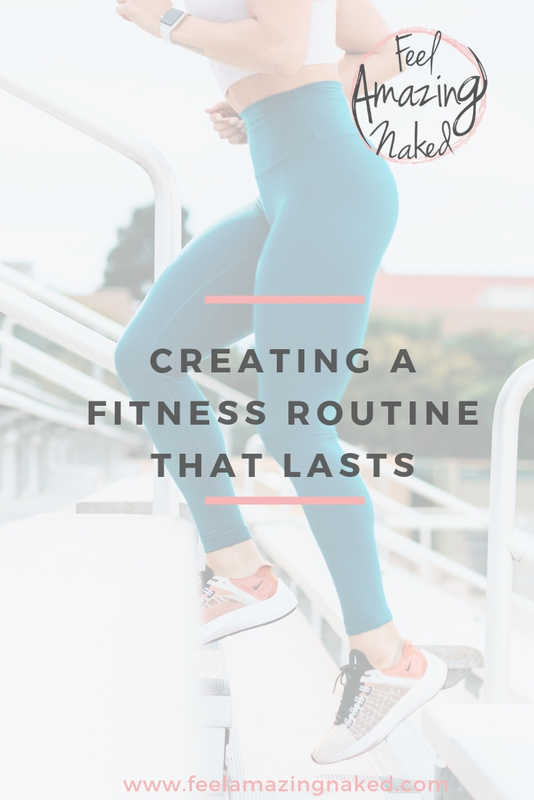 I want you to create a routine/a system so that your fitness regime becomes part of your identity. How to create an environment for success…that does mean your physical environment but also your self too. Fitness is an evolution and a process..enjoy the ride! If you struggle with squeezing in workouts some days, grab my 30 Easy at Home Workouts HERE. It also includes a library of videos and modifications AND I am throwing my meal prep guide in as a BONUS. You can grab the workout guide I mention on the podcast HERE. Hi! Just wanted to let you know I use Podcast Addict to listen to your podcast, and used the link in episode 11 to get to the show notes and it bright me here (to show 10) instead of the interview I was looking for. Thank you so much for sharing that info with me! I think I have it corrected now and your follow up is so appreciated!